People start websites for various reasons. Some want to share ideas, others to promote their business, and for some, a website is their business. Whatever the reason, you want your site to appeal to as many people as possible. That’s why it’s on the internet. This is where slow website speed becomes a problem. What does that mean? First off, long load times are the bane of your traffic. It sounds dramatic, but it is accurate in more than a few ways. Let’s consider SEO, the source of web traffic for most of the websites. As a website owner, you probably work hard on optimizing your website for search engines, but if your website loads slow, it can undermine your SEO efforts. Google’s search algorithm penalizes slower websites considering it as a bad user experience signal. This is not the only way speed influences traffic. The longer the loading, the higher the bounce rate (people leaving your website after visiting one page) on your website. To give you a glimpse, going from 1 to 5 seconds of loading means 90% more visitors leave after seeing one page. We have more interesting facts on loading speed and its impact in the resource below curated by Hosting Tribunal, a website that tests loading speeds and uptimes and ranks the hosting providers accordingly. And just wait until you see the other negative effects. Longer load times mean fewer page views per visitor, fewer recurring visitors, and even some bad publicity. And some people want to monetize their sites. Even if your site is only for sharing ideas, why wouldn’t you use it to earn some extra money? Perhaps you already plan to add affiliate links or sell a product of your own. In that case, we have more bad news. Each second of delay decreases customer satisfaction by 16%. This means worse click-through rates, more abandoned carts, and fewer conversions—in general, less profit. Longer load times can really hurt every website aspect. We recommend checking site speed in GTMetrix if you haven’t already done so. You should aim for load times under 3 seconds for the best results. You can see why in the infographic below. It will also help you understand website speed more accurately through some fun and useful facts and stats. https://uploads.disquscdn.com/images/c1a4315b14b53d6541100fc6d638cf9da929bdcae7db183f9e431ac6f67f3ce0.png Revenue Drop , Negative publicity and website traffic can be avoided and every website visitor can be converted into leads. 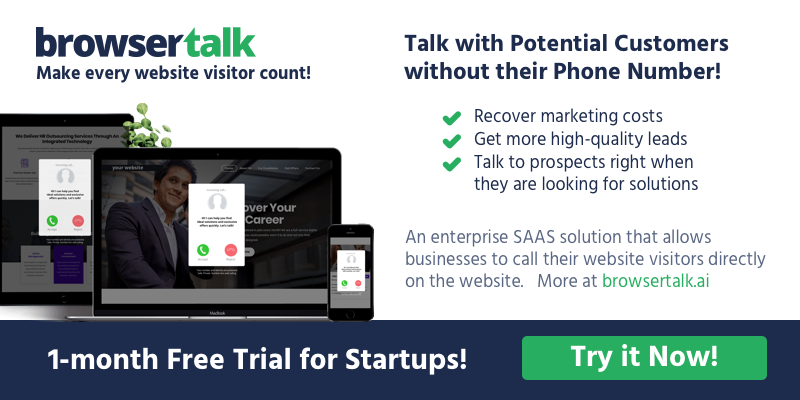 With Browser Talk your business can Connect with visitors without indulging the clients to share potential details like personal contact number and still allow live visitors to contact us with just one tap.